Feargal Mostyn-Williams is the first countertenor to become a Young Artist at the National Opera Studio where he studied during the 2017/18 season. He recently completed a Masters at the Royal College of Music studying with Russell Smythe, where he was as an RCM Scholar supported by the Yvonne Wells Award, the Sylvia Harris Fund and the Josephine Baker Trust. Prior to this he was a choral scholar at King’s College Cambridge. Previous operatic roles have included Kai Killer Graphics (Têtê à têtê/RCM), Oberon A Midsummer Night’s Dream (RCM, Surrey Opera), Didymus Theodora (Atelier Lyrique de Londres, RCM), Ottone L’Incoronazione di Poppea (RCM Opera Scenes). Concert repertoire includes Handel’s Messiah and Dixit Dominus; Bach St Matthew Passion and Geist und Seele BWV35; Orff Carmina Burana; Vivaldi Gloria; Purcell Te Deum and Come Ye Sons of Art; Bernstein Chichester Psalms; Britten Abraham and Isaac and The Journey of the Magi; Korngold V Lieder Op.38; Schumann Liederkreis Op.39; and virtuosic arias and cantatas written for Farinelli. Recent and future engagements include singing the Cheshire Cat in Alice’s Adventures in Wonderland for Opera Holland Park, covering the role of Athamas Semele as an Alvarez Young Artist for Garsington Opera, Antonio The Merchant of Venice for both Welsh National Opera (singing and covering) and the Royal Opera House Covent Garden (covering), covering the roles of Unulfo Rodelinda and the title role in Glass Akhenaten for English National Opera, the title role in Dear Marie Stopes for Tête à Tête Opera, Dove’s Seven Angels at the Victoria and Albert Museum, the world premiere of The Judas Passion – Sally Beamish as well as Peter Sellars’ staging of the St John Passion with the Orchestra of the Age of Enlightenment, and Messiah in Arundel Cathedral. 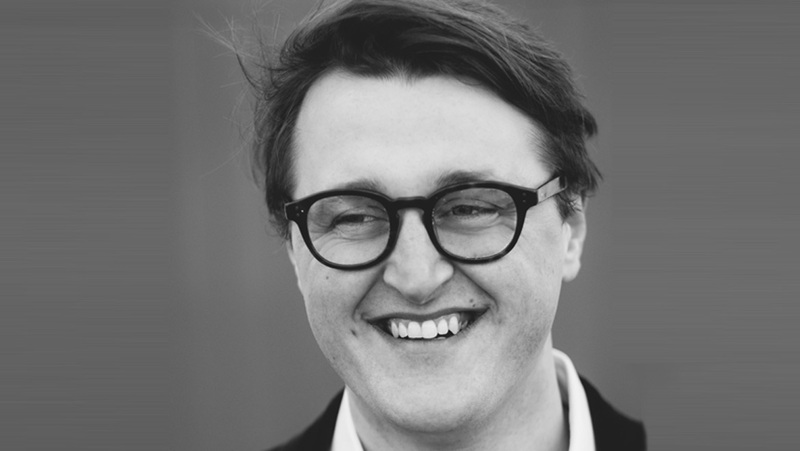 Feargal is dedicated to expanding the appeal and repertoire of the Countertenor voice and has taken part in masterclasses on operatic repertoire with Ann Murray DBE, James Bowman, Andreas Scholl, Michael Chance, Lawrence Zazzo, Deborah York. He has also taken part in masterclasses in concert and lieder repertoire with Masaaki Suzuki and Sarah Walker, and has given cross-cultural concerts in the Indian Himalayas. He has a particular ability in Contemporary music, and a strong affinity with Lute Song. His recordings include ‘Britten – Rejoice in the Lamb’ (King’s College Cambridge) and ‘Veneer’ with the Graham Fitkin Band. Feargal lives in London and is a member of the National Centre for Circus Arts practicing Acrobalance.